The phrase ‘time is relative to the observer’ arose from Albert Einstein’s field equations, which were published in 1915. Although he was talking about time as it pertains to general relativity, this extends to us as observers within the human condition. A minute can feel like hours at moments of stress. Conversely, the oft-thrown-around idiom ‘time flies when you’re having fun’ reduces years into memories within the ether. Let’s face it, time is a precious commodity. As such, you deserve to have only the best track your every moment. We’ve picked the best watches that reflect the craftsmanship, attention to detail and style expected of an M2 man. Here is our Luxury Watch Guide for 2017. Jack Heuer, great-grandson of founder Edouard Heuer, designed the original Carrera in 1963, inspired by the speed, thrill and edginess in the world of auto-racing. The 2017 Carrera Heuer-02T Tour channels the daredevil bravado of Carrera’s past and injects it with the unabandoned flashiness and swagger of the present. Bold and declarative baguette diamonds are tactfully complemented by the strong silver titanium case and white gold bezel. With parallels to a finely tuned engine, the Heuer-02T movements are powered by the masterfully engineered tourbillon. The 45-millimetre case houses a well-designed, industrial-styled dial. Not to be forgotten are the well-padded rubber straps that keep the flashy watch in place and in check, complete with jet black finish. 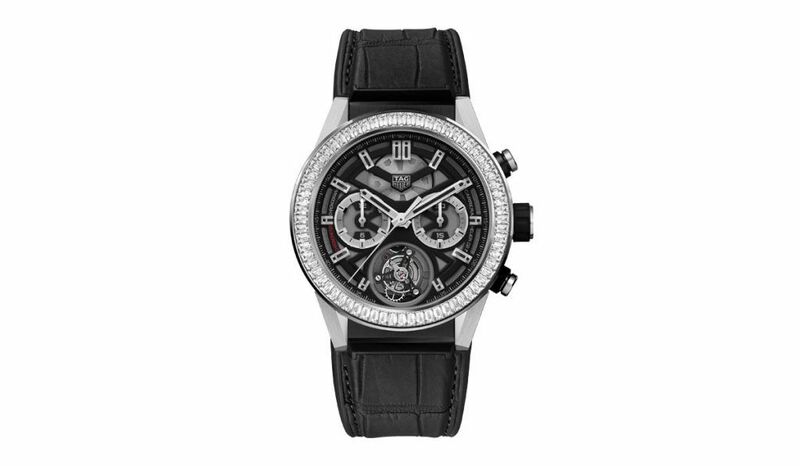 The Carrera Heuer-02T Tourbillon Baguette Diamonds is a watch that demands only the best wear it. The public asked for it, and Tag Heuer delivered. More than 50,000 fan votes were submitted to last year’s Autavia Cup, and the ref 2446 Mark 3 Autavia from 1966 was selected as the watch to be revived from the famed Autavia collection line. The name Autavia – a portmanteau of auto and aviation – exudes the cavalier debonairness of the 60s automotive world with an unmistakable pilot scheme that grabs attention with its use of clear-cut design coupled with a mechanical, matte finish. The 42-millimetre stainless steel case displays a reverse panda dial in a deep onyx with smokish white; the hands, index and dial print reflective of the original. Bracelets are integral to pulling off an alluring timepiece, and options come in either a classic sepia, brownish calf-skin strap or in a solid polished steel. The movement carries on tradition in a terrific way, with a calibre Heuer 02 self-winding movement, a nod to the Autavia Rindt models, named after F1 legend Jochen Rindt. Sometimes you just can’t beat the classics; the Autavia Heuer-02 lives on for newer watch fans to experience and for older aficionados to experience one more time. Evoking designs and themes of timepieces past is a formula that can either work fantastically or come across as contrived. Montblanc’s 1858 collection, in particular the Montblanc 1858 Automatic, tastefully pays tribute to the Minerva chronographs of the 1930s, while making subtle changes for the sensibilities of the modern day. A deep black dial set creates the perfect backdrop for the cathedral-inspired hands. 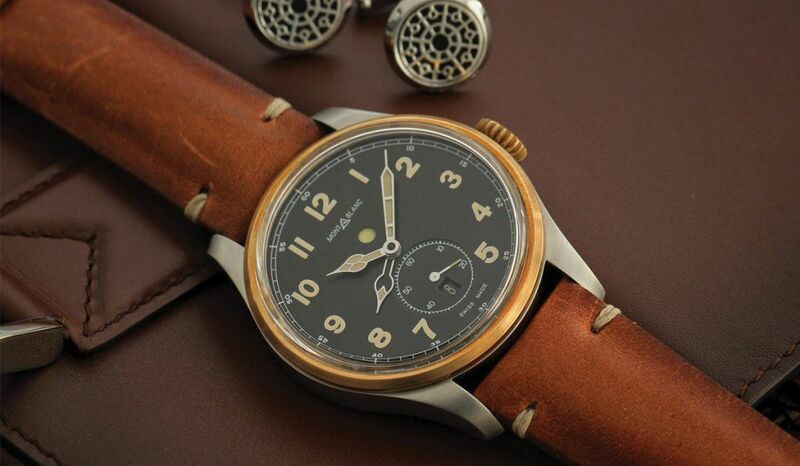 The bronze bezel is housed within a 44-millimetre stainless steel case, creating a subtle yet stunning pairing. The automatic movement, powered by calibre MB 24.16, is perfect for the connoisseur who seeks vintage appeal with contemporary functionality. 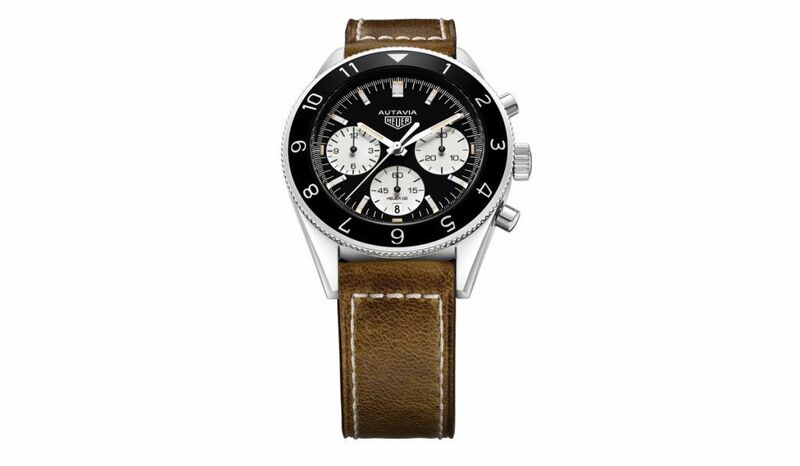 Lastly, the aged and earthy calf-leather strap, crafted in Florence, garnishes this timepiece brilliantly. Simple, sleek, sophisticated. For watch enthusiasts with a penchant for flair and edge, the Montblanc TimeWalker 100 pushes boundaries while staying true to the rich heritage of Minerva. 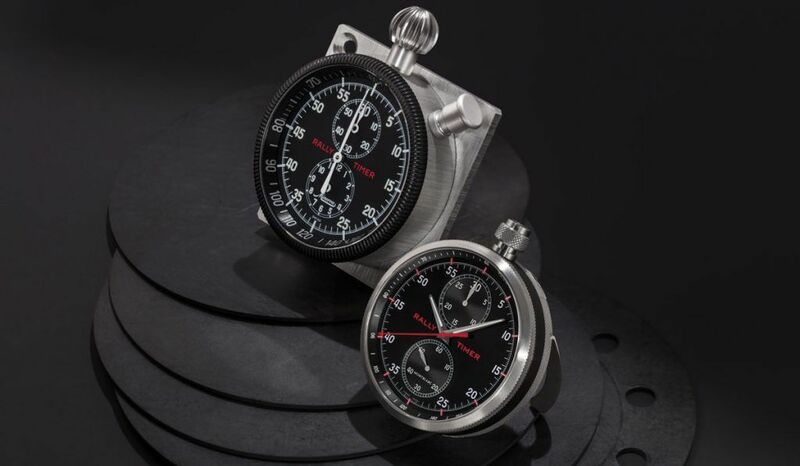 The inspiration stemming from the legendary Minerva rally timers is clear and unmistakable; the TimeWalker Rally Timer 100 is the perfect amalgamation of the different pillars of timekeeping – part stopwatch, part wrist chronograph, part dashboard-mountable rally timer, part table clock… the multi-functionality lies within the case design. To turn it into a table clock, simply remove the strap, retract the lugs and pull out the retractable stands; this watch remains completely legible thanks to the generous-sized dial housed within a 50-millimetre titanium case. Fold the stands in and the TimeWalker 100 becomes a stopwatch. The TimeWalker 100 also easily slots into a specially made dashboard holder that can be secured to a car dashboard. A Montblanc calibre M16.29 powers this timepiece, inspired by the original Minerva calibre 17.29 used in both Minerva pocket watches and wristwatches of the 1930s. With a sizeable balance wheel and slow frequency, the TimeWalker 100 is undoubtedly one of the most stunning manually wound chronographs on the market. 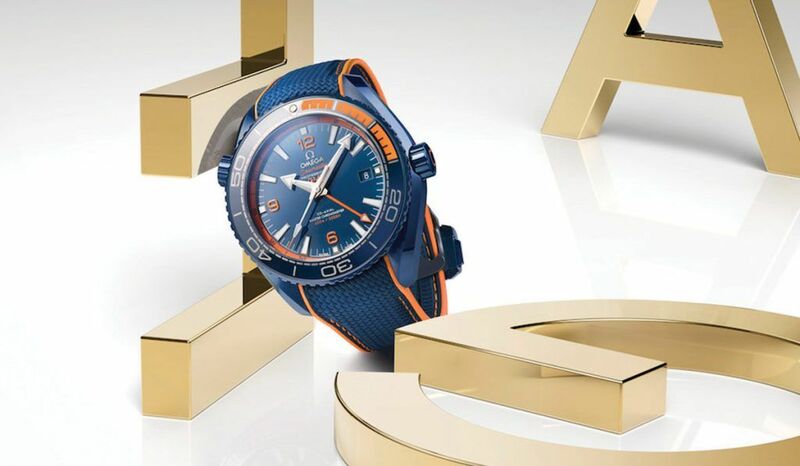 Sporting an eye-catching navy blue and burnt orange colourway, “Big Blue” as Omega have nicknamed it, is bold in style, clever in design and grabs attention in a manner vastly different to your standard luxury watches. Omega have springboarded off the success of last year’s Planet Ocean “Deep Black” and have dived deeper into the realm of ceramic watchmaking with this bold piece. The 45.5-millimetre case, bezel, crown and dial are all carefully crafted from a single block of blue ceramic, the hands and indexes beautifully complimenting the blue in 18k white gold. Ceramic has two key advantages over conventional materials like stainless steel, gold and platinum: it’s incredible hardness render it practically scratch-proof and its light weight rivals aluminium. Omega’s Liquidmetal technology comes into play, bonding the ceramic and adorning the bezel in Arabic numerals. Painstaking research has gone into Liquidmetal – an alloy boasting a low fusion temperature and hardness three times that of stainless steel. Don’t be mistaken, the strap looks like fabric but is in fact rubber, covered with an anti-bacterial coating and grooves to allow for sweat evaporation. “Big Blue” is part GMT watch and part diver’s watch (600m water resistance plus helium release valve), but whether you’re venturing into Davy Jones’ locker or staying ashore as a grounded landlubber, the Planet Ocean 600m is sure to stand out. Omega’s iconic Speedmaster openly displays its motor racing heritage with class and high performance. The dial design is the definition of well executed neo-retro design, the roots linked to the 1968 Speedmaster’s layout which prioritised better readability. Alluring jet black decorates the dial housed in a precise 44.25cm case. A beautiful tachymeter decorates the stainless steel bezel, the sapphire crystal redesigned for a sleeker look, and slick white and orange hands round out the alternating minute-track dial. 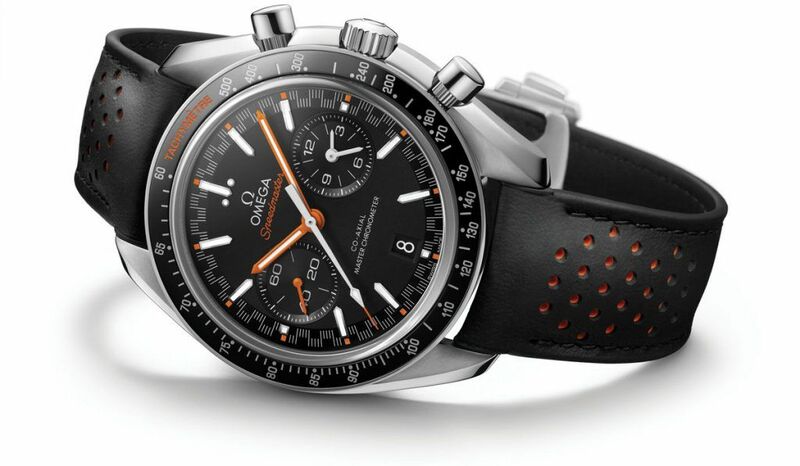 Deep black flaunts the leather strap and speckles of orange rubber pop through the middle – pairing well with the tones of racing orange on the dial face. The Speedmaster’s movement is driven by a calibre 9900/9901 – the peak of the Swiss watch industry’s standard for performance and precision. The masterful execution of reviving racing themes of Speedmasters past, coupled with sheer power and performance make this year’s Speedmaster Racing Master chronometer a timepiece that stands head and shoulders above the pack. 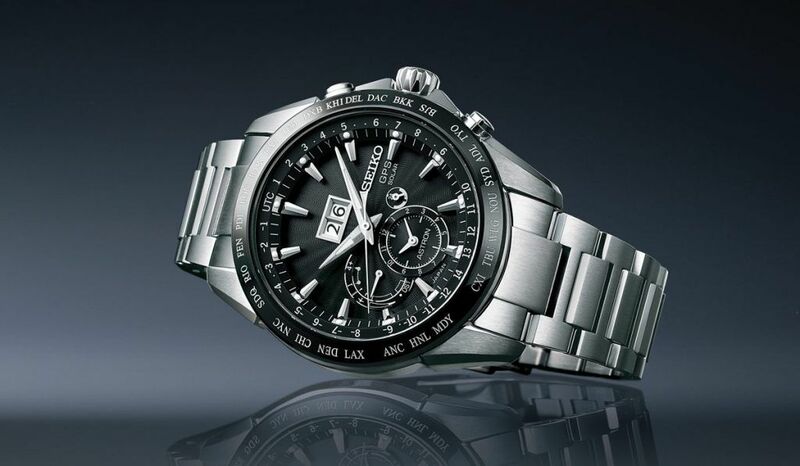 Seiko launched the Astron GPS Solar at Baselworld 2012 and five years onward, the range of Astron GPS Solar calibres continues to grow in line with the ever-widening demand for smart watch technologies. The new 8X42 brings the number of active GPS Solar calibers to four in the Astron range and adds a new note of relaxed elegance to the Astron design. This new series is slated for release this month. Like all Astron GPS Solar calibers, 8X42 offers the remarkable ability to adjust to local time anywhere in the world with the simple touch of a button using just the power of light. With the addition of the big date window, the inclusion of a dual-time dial at the six o’clock position and new, slimmer hands, the new designs have a refinement that make them as perfect for an evening out as they are for international travel. With several versions featuring Roman numerals for the first time in any Astron design and with more components having mirror-finished surfaces, the Astron dress watch has truly arrived. The 8X42 core collection comprises four models in stainless steel and three in titanium, but all offer a remarkable level of scratch resistance thanks to their ceramic bezels, sapphire crystals and super-hard coatings. New coating technology allows even the rose gold tone designs to be highly resistant to scratches, ensuring that the luxury look of every Astron 8X42 watch lasts as long as possible. The successor to the iconic SBGA011, the SBGA211 continues on a proud legacy of excellence and elegance through simplicity. The 41-millimetre case and bracelet are comprised of a high-intensity scratch and corrosion resistant titanium that is 30% lighter than stainless steel. The bezel, lugs and bracelet are all carefully crafted with a cold, polished titanium finish. Tradition continues with the iconic arctic scheme from the SBGA011 a familiar sight. The powdery white raised with beautifully subtle texture that complement the polished steel numerals – fitting of the nickname “Snowflake”. The blue steel second hand is a fine detail that smoothly glides across the wintery face, exemplary of the ingenious 9R Spring Drive movement. The SBGA211’s brilliant Calibre 9R65 backs the movement in this wristwatch. Equal parts power and equal parts grace, the Snowflake is for the cool, the calm and collected. The SBGJ203 is a no-nonsense watch for the present day, packing both bark and bite with a clear-cut design and fantastic calibre movement. A 40-millimetre stainless case and dual-curved sapphire crystal house a dial that speaks with the perfect mix of sophistication and toughness. The beautiful black backdrop on the dial allows the striking silver numerals and hands to leap forth, and the addition of a red GMT hand adds elegance to functionality. 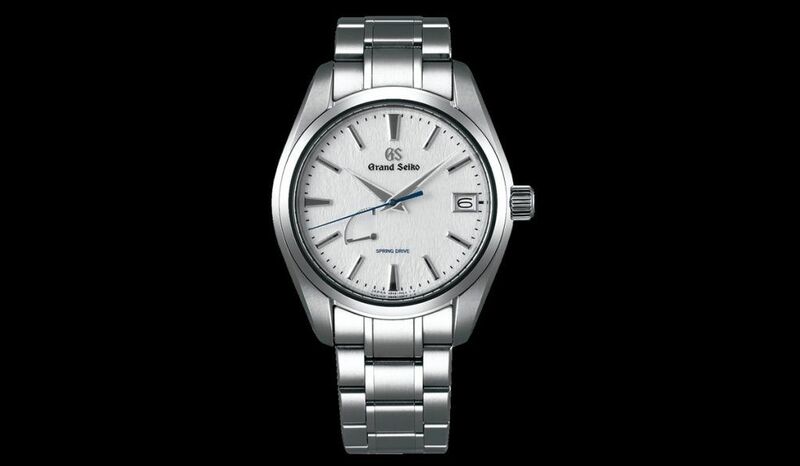 The SBGJ203’s design is a refreshing take on the “Grand Seiko Style”, first established in 1967 with the famed Grand Seiko 44GS. Caliber 9S86, a movement with an oscillation rate of ten beats per second, brings incredible accuracy (-5 to +3 seconds a day) to the SBGJ203, and is tactfully rounded with a 55 hour power reserve. 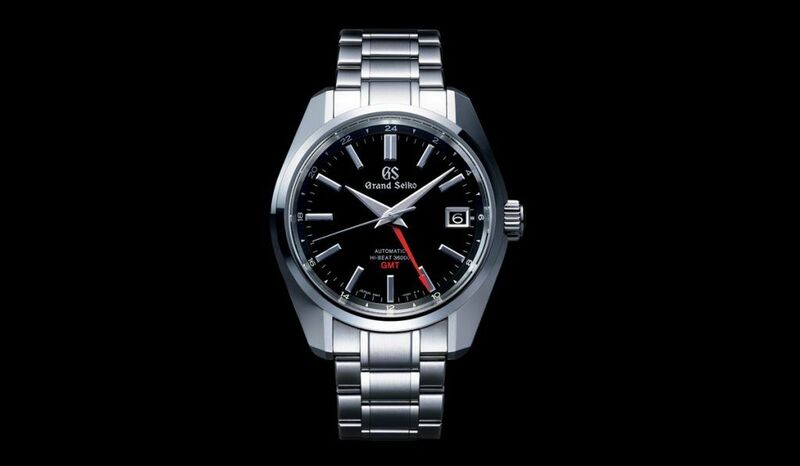 Straight-forward and forceful in both movement and design, the Grand Seiko SBGJ203 is a wristwatch that means business. Emphasis on the perfection of finer details showcases a commitment to precision and meticulousness – everything expected from a true upper tier watch. 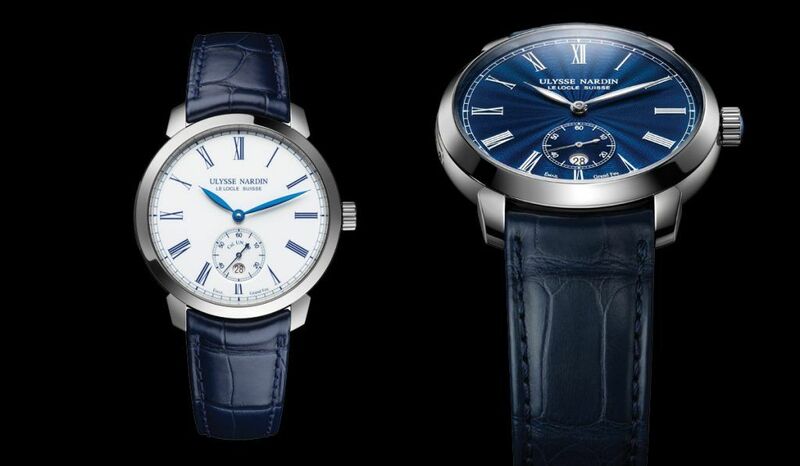 The Ulysse Nardin Classic Manufacture is exemplary in this field with enamel detailing taking centrestage on the dial. Intensive effort goes into achieving the enameling detailing; Ulysse Nardin purchased enamel specialist house Donze Cadrans in 2011 – one of the only firms in the world to still employ traditional enameling techniques. “Grand Feu”, as it pertains to enameling, refers to the process of baking enamel powder to the watch’s dial base. Once the enamel has initially liquified, fused and cooled, the enamel process is then applied again and again until the correct colour and thickness have been achieved. The blue ocean wave effect is accomplished with pin-point accuracy within the bounds of a classy 40-millimetre stainless steel case – a testament to the Donze Cadran skill and craft. Roman numerals wonderfully float upon the maritime blue, with beautifully feuille-shaped hands and a small seconds counter with a rounded date window. The bezel is wonderfully proportioned with the lugs, synchronous in style as with function. Backed by a calibre UN 320 movement with anchor escapement and silicon hairspring, as well as a classic royal blue leather strap, this is a timepiece for those who appreciate the finer things. An outstanding watch fit for competition, the Ulysse Nardin Marine Regatta Chronograph commands respect with its rugged design and innovative practicality. The Marine Regatta was created with the help and curation of Swedish sailing team Artemis Racing – ahead of this year’s America’s Cup. The bezel stands out with a polished stainless steel and machine like design. 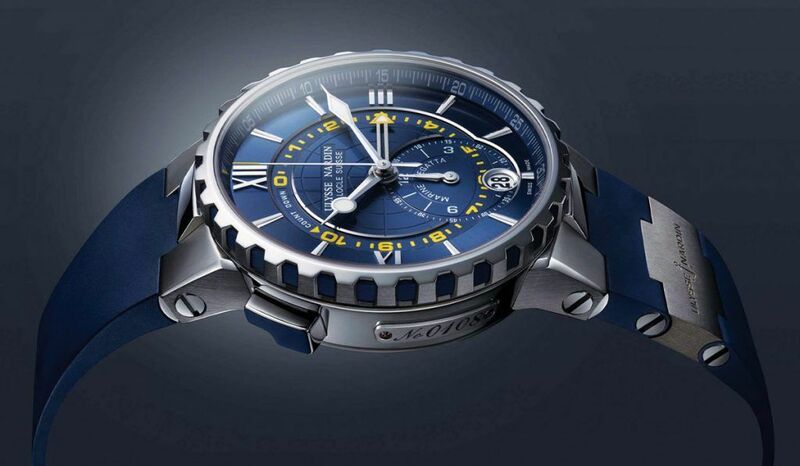 A sizeable 44-millimetre case houses a brilliant blue and yellow dial – the colours of Artemis Racing. The classic hand designs and Roman numerals add a classy touch to this sporting watch. Well designed lugs work in tandem with the titanium and rubber strap to create a fit perfect for the rigours of choppy seas. Professional specifications demand the utmost attention to technical features. An in-house calibre is the power behind this piece – the calibre UN-155 movement is comprised of 650 components, allowing the countdown seconds hand to move both clockwise and anti-clockwise. An inverter mechanism streamlines the transition from clockwise to anti-clockwise, giving the pros the competitive edge to track time with premier precision and practicality. This is a watch that understands that every second counts and gives the edge to those who know that time is of the essence. Girard-Perregaux impresses yet again with the Laureato Skeleton, showcasing a striking transparent design that boldly shows the inner workings of the skillfully crafted Laureato collection. The harmony between interior and exterior is a paramount objective in both architecture and horology, and the Laureato Skeleton displays what happens when the best of two disciplines meet as one. The Laureato collection is a stunning range with a rich heritage. Originally designed by a Milan based architect during the 1970s, the Laureato Skeleton proudly displays its roots with exquisite proportion and design. The metal bracelet is composed of links featuring an alternating matte and satin-brushed finish. Every detail is accounted for – the lugs form an integral part of the design and the Laureato Skeleton’s polished octagonal bezel is framed by a circle that draws the eye into the inner workings of a premier wristwatch. Cases come in well designed 42mm x 10.8mm dimensions, with options in a cool stainless steel or 18K pink gold. The Laureato Skeleton openly displays its beating heart with an incredibly intricate and ornate GP1800-0006 calibre movement as the pièce de résistance. Light floods through the transparent dial, further highlighting the beautiful movement in a manner reminiscent of stained glass windows. 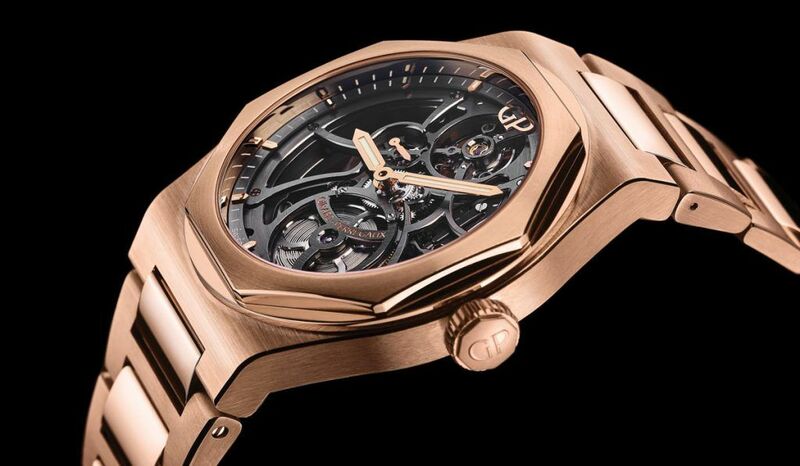 The Girard-Perregaux Laureato Skeleton is proof that it’s what is on the inside that counts. Retro-futurist at its aesthetic core, the Girard-Perregaux Neo-Bridges brings a flair for the dramatic with a cutting edge design synchronous with the esteemed traditions of Girard-Perregaux. The Neo-Bridges interweaves motifs and design codes from Constant Girard, creator of the iconic Esmeralda pocket watch. High-tech and retro-futurism is on clear display with a masterfully crafted 45mm titanium case, complete with alternately polished and satin-brushed finish. The strap is an elegant black alligator leather, fitted with a titanium triple folding clasp. Secured with sapphire crystal glass, the clever minimalist dial also flaunts a transparent sapphire crystal case-back, allowing for clearer legibility while revealing the style and power of the 208-part mechanism. The pursuit of perfect symmetry is an ideal often pursued by horologists and the GP08400-0001 movement is a supreme example of perfect symmetry in practice. 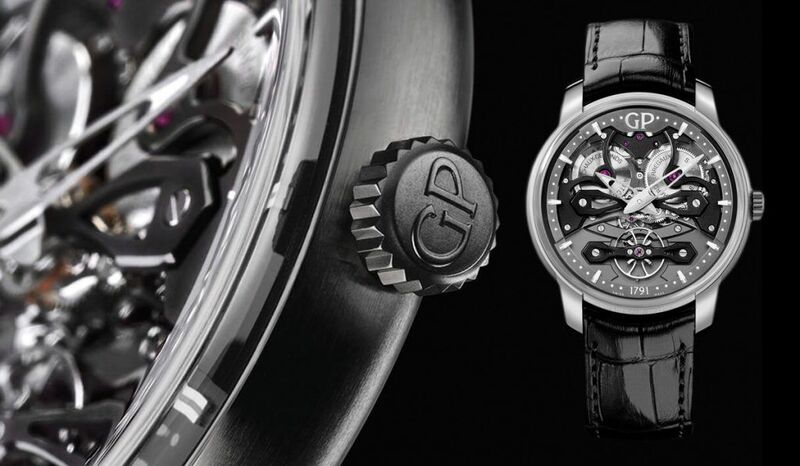 A 50-hour power reserve is present, attributed to the pin-point positioning of the micro rotor. The Girard-Perregaux Neo-Bridges is a timepiece for perfectionists who look to the future and understand the importance drawing inspiration from traditions of a rich past.